I love giving homemade gifts and today I am sharing one of my favorite go-to toddler gifts. This chef hat is super cute and your little one will LOVE wearing it while helping you cook! 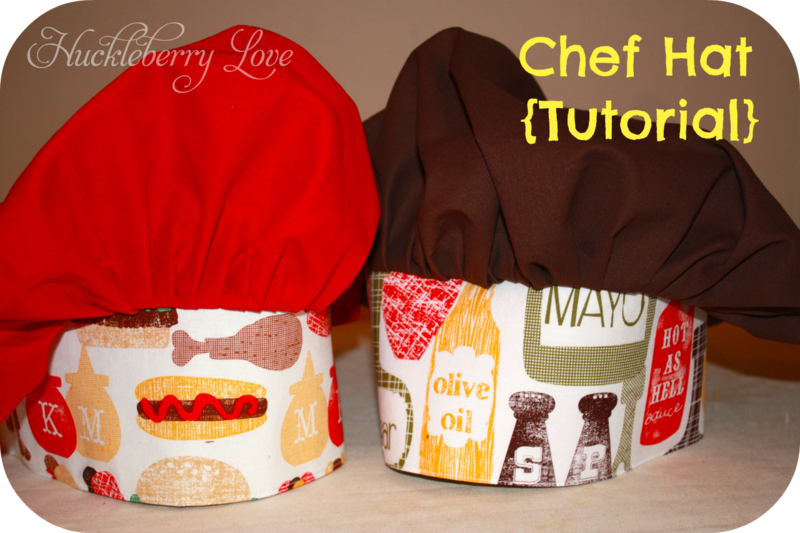 A few years back, I found this tutorial and made my first chef hat for little miss E. It turned out so great that I’ve been making chef hat and apron sets ever since. I’m actually opening my Etsy shop next week that will feature these sets as well as some other great gifts. So if you know a little (or big) chef that would love one of these hats, go ahead and follow along! 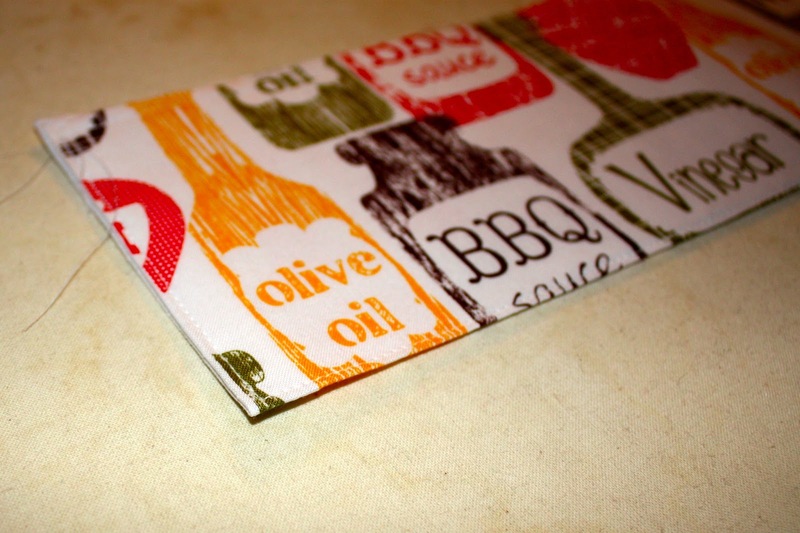 If you don't have the time to make one, feel free to stop by my shop! I’ve always made girlie apron and hat sets, but when 2 brothers in our playgroup got a play kitchen for their birthdays, I knew they would enjoy something to dress up in and play the part. And why not? Boys love to cook too! I found the cutest Michael Miller retro fabrics and coordinated solids to match. I stared by making the band. 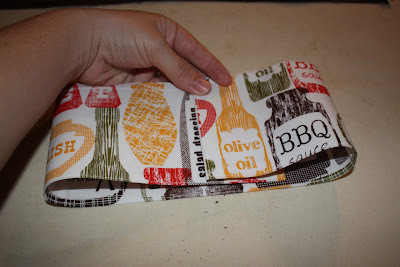 First, fold your 8” x 24” fabric in half (long way- think hotdog!) making it 4” x 24”. Iron to make the crease. Place fusible interfacing inside the pocket, so that the edge lies along the crease. Fold fabric over and iron. 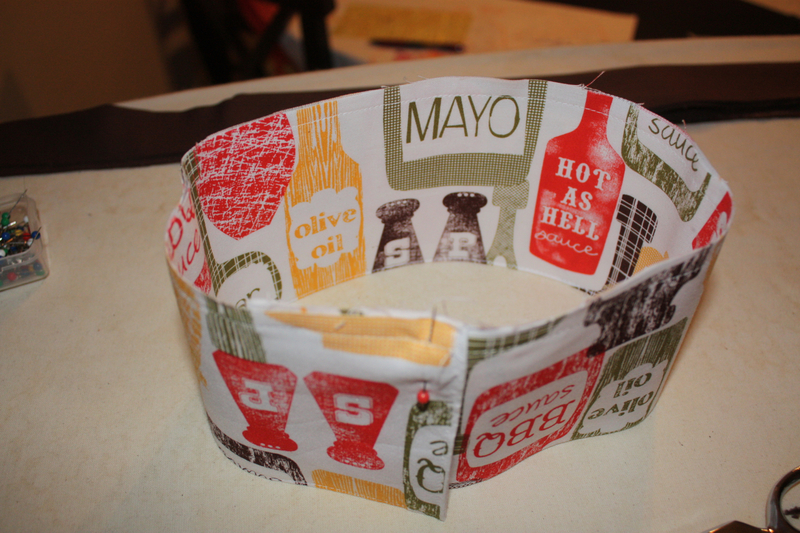 The original tutorial calls for an 8” x 24” cut of fusible interfacing, but I found that the hat got bulky and not as light for those little chefs. 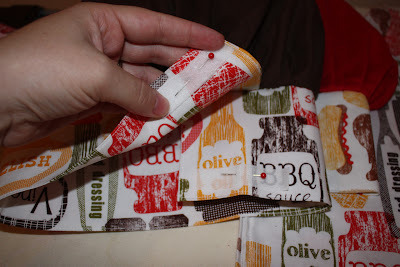 Next, open the pocket of fabric, fold in your short ends 1/2 “, and iron flat. This way, your ends will be finished. Fold back in half, iron, and pin. 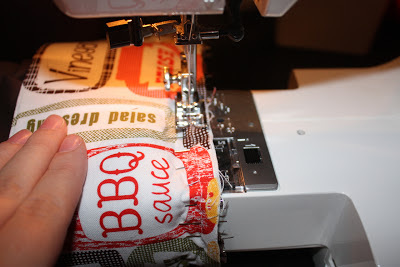 Sew around all edges using a medium stitch length. Overlap your ends by 1-2”, or whatever length to allow for the correct fit to make a circle band (wrong side out). Pin in place. Mark your band (around the raw edge) into halves, fourths, and then eighths. Set aside. 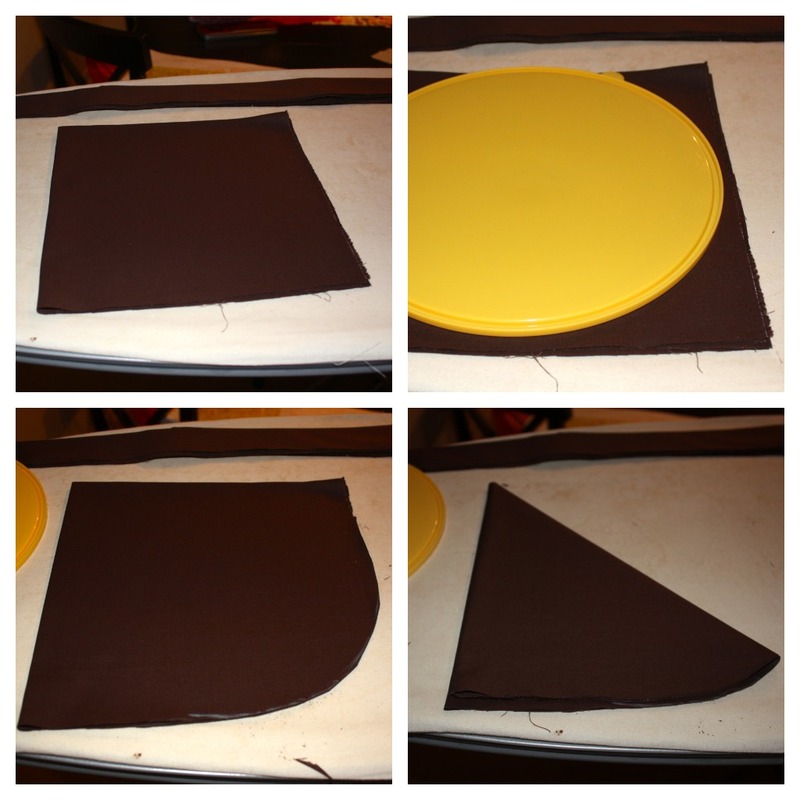 Fold the 20” x 20” fabric in half and iron to make a crease. Fold it in half again and iron. Mark a smooth curve. I used a circular lid to a bowl. Cut along the curve. I folded mine once more in half and ironed. 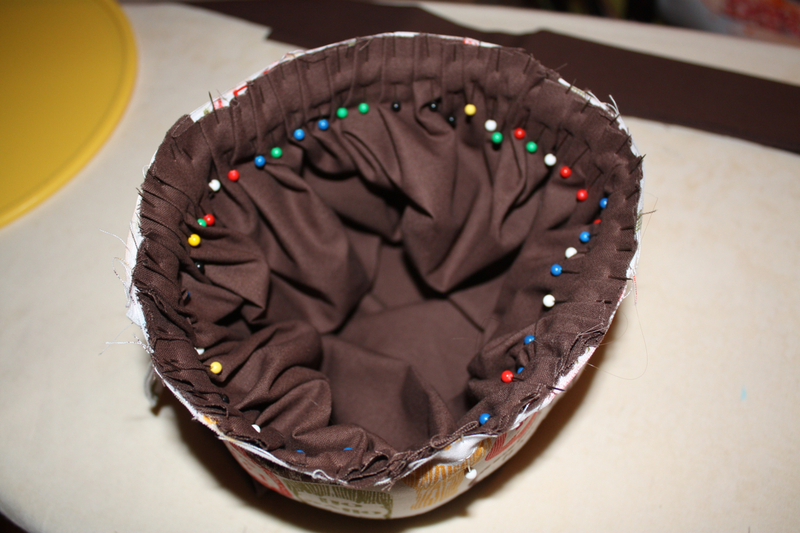 Open up the fabric to find a circle, or in my case, a square with very round edges ;-). It should have 8 creases, giving you a guide for pinning later. Place your fabric wrong side up, inside of the band. 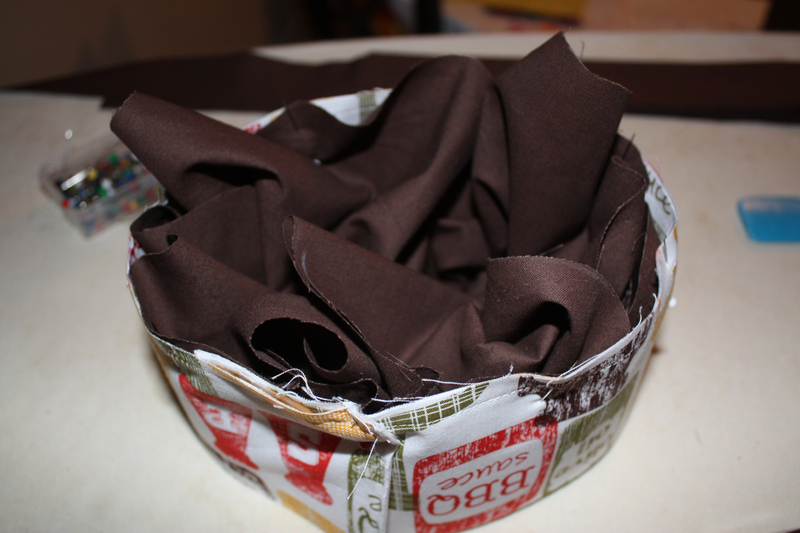 Secure the fabric at each 1/8th crease (with the evenly spaced pins on the band from before). 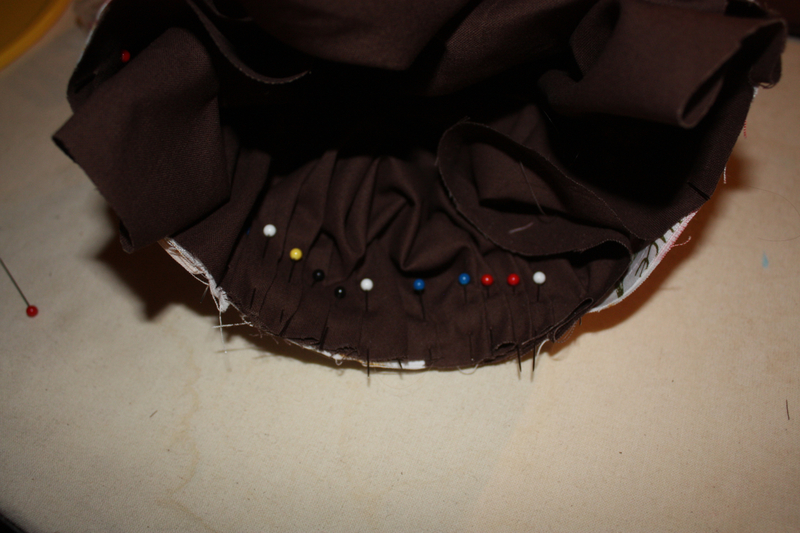 Next, start making even gathers in between each pinned area. Pin from the inside like so. Make sure to go in one direction all around the hat. Sew along raw edges. 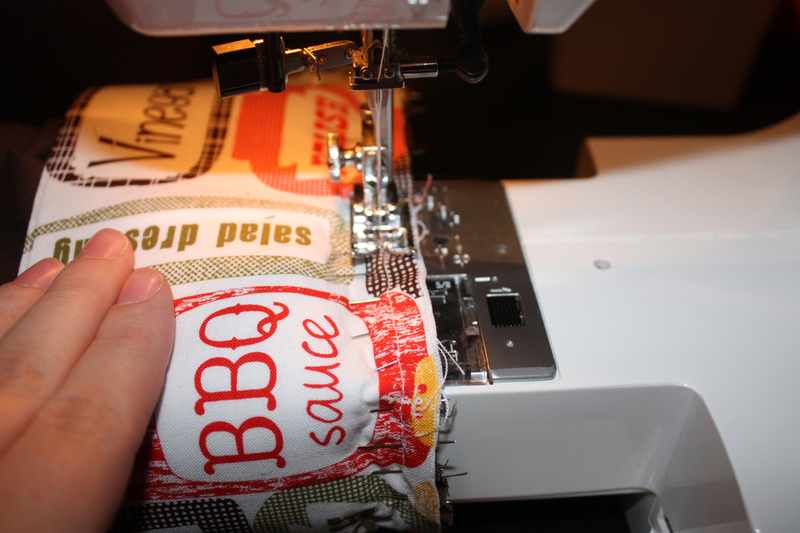 Make sure to give yourself a good enough seam allowance to catch all of the fabric. Sew in place. And you're finished. See that wasn't too bad! Now to try it on the cutest model ever! I am just in love with both Michael Miller prints that I used in this project. What fabrics are you in love with right now? Now that is adorable! My 4 y.o. son loves to help out in the kitchen...he does have a chef hat but it's just boring white. :) I'm pinning this to make for him sometime! This is such a fantastic tutorial! Thank you so much! I've made two and will make more for gifts!!! This is such a great tutorial! Thank you so much! I've made two and am making more for gifts!!! from FiveLittleChefs.com - I LOVE these! My Little Chefs will love them! 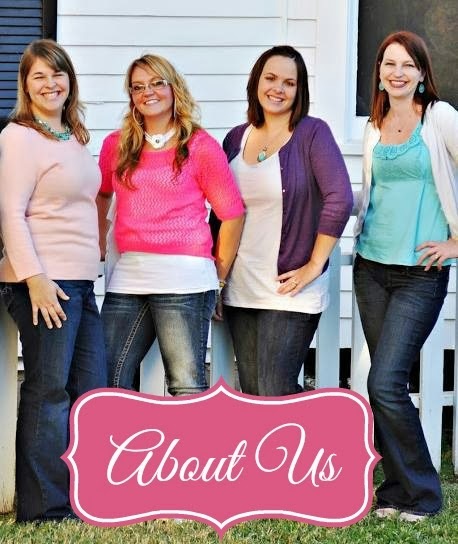 I would love for you to stop by, share and link up to my Linky Party! Thanks for this tutorial - I made some as christmas presents, have a look there: http://lisgillet.com/blog/kid-apron-and-chefs-hat/ Thanks again!